Thursday’s issuance of a Certificate of Return to Dr. Uchechukwu Ogah by the Independent National Electoral Commission in Abuja has complicated the dispute over the governorship seat of Abia State. 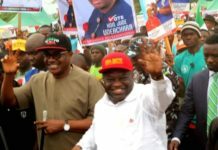 Justice Okon Abang of the Federal High Court, Abuja, had, on Monday, ordered the removal of Governor Okezie Ikpeazu and ordered INEC to issue a Certificate of Return to Ogah, who was the first runner-up in the state governorship primary of the Peoples Democratic Party. Justice Abang had ordered the removal of Ikpeazu after finding him guilty of not presenting relevant tax certificates along with his forms submitted to INEC. 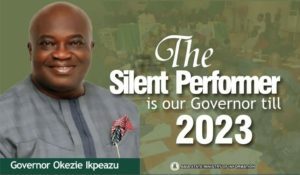 He held that Ikpeazu, who emerged as the candidate of the PDP in the state for the 2015 governorship election on the strength of the primary, was not qualified to be the candidate of the PDP. INEC Commissioner in charge of the South-East, Ambassador Lawrence Nwuruku, presented the Certificate of Return to Ogah in Abuja in accordance with the judgment of the court. Nwuruku told journalists that the court directed the commission to issue the certificate with immediate effect. He said, “The situation is we are simply obeying the court order. The court said with immediate effect, we should issue him a Certificate of Return, and that is what we have done. “If the court tomorrow issues (another) order, we will obey the same. By the grace of God, I am the INEC commissioner in charge of the South-East. “In this case, the court ordered us to issue certificate to the person who won the election, that is Uchechukwu Ogah. 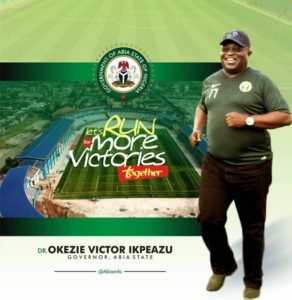 I was the person that issued the same Certificate of Return to Governor Ikpeazu because he was declared the winner. 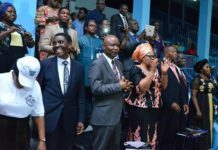 A few hours after Ogah collected his Certificate of Return in Abuja, an Abia State High Court in Osisioma stopped the Chief Judge of the state or any other judge in the state from inaugurating Ogah as directed by Justice Abang on Monday. The presiding judge in the court, Justice C. H. Ahuchaogu, equally made a belated order stopping INEC from issuing a Certificate of Return to Ogah as the winner of the 2015 governorship election in the state. The issuance of the Certificate of Return to Ogah and the pronouncement of the Abia State High Court have created confusion on who is the valid governor of the state. Meanwhile, the state Commissioner for Information and Strategy, Mr. Bonnie Iwuoha, on Thursday, announced that the government had declared Friday (today) and Monday next week as work-free days in memory of the former Minister of Foreign Affairs, Chief Ojo Maduekwe, who died on Wednesday. He said the gesture was in recognition of the immense contribution of the deceased, who hailed from the state, to the development of the state and Nigeria in general. Similarly, the Secretary to the State Government, Dr. Eme Okoro, expressed surprise at the sudden death of Maduekwe, who he said worked tirelessly for the sustenance of democracy in Nigeria. But the Peoples Democratic Party in the state described the order of the Federal High Court in Abuja as a threat to democracy in the country. 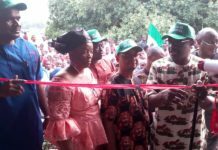 Addressing newsmen at Government House on Thursday, the state chairman of the party, Chief Johnson Onuigbo, said the party would resist any attempt by any person or group to undermine the peace in the state. In a similar vein, Ogah described his success at the Federal High Court, Abuja, as a further vindication of the confidence reposed in the nation’s judiciary as the last hope of the common man. Speaking with newsmen on arrival at the Sam Mbakwe International Cargo Airport, Owerri, from Abuja, where he was issued a Certificate of Return on Thursday, Ogah stated that by his eventual success, the people of Abia State would not only enjoy more democratic dividends, but would be accorded equal opportunities in all facets of his government. A few hours later, however, there were reports that some suspected hoodlums had invaded Umuahia, the Abia State capital, following information that Ogah had arrived at the state capital and headed straight for the office of the Department of State Services. The suspected thugs, who were said to be carrying sticks, were allegedly seen with some security agencies along the Akanu Ibiam Road, leading to the Government House. Unconfirmed reports, however, said Ogah might be sworn in by a Chief Judge from a neighbouring state following the order of the Abia State High Court, stopping the Chief Judge of Abia State from swearing in Ogah. The Conference of Nigeria Political Parties has commended INEC for promptly issuing a Certificate of Return to Ogah as the Abia State Governor in line with the ruling of a Federal High Court in Abuja. The CNPP stated that the development was a positive indicator that Nigeria’s democracy was advancing. It added that the action of the commission was a pointer to the level of non-interference in the electoral and judicial processes by the President Muhammadu Buhari administration. 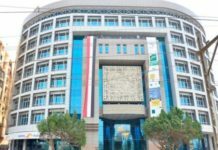 The conference stated this in a statement in Abuja on Thursday by its National Chairman, Alhaji Balarabe Musa, and the Secretary General, Chief Willy Ezugwu. 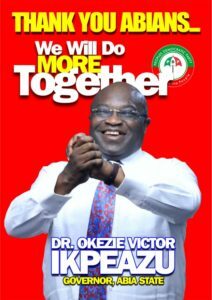 It said, “What has happened in Abia State shows that the era of impunity is behind us. “There is hope in our democratic future as a country as any country, where impunity is the norm, never survives. 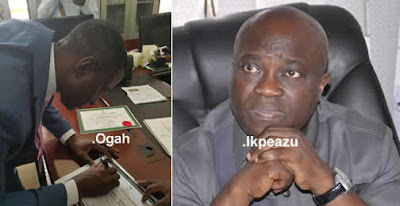 In his reaction, a former Chairman of the Ikeja Branch of the Nigerian Bar Association, Mr. Monday Ubani, justified the issuance of the Certificate of Return to Ogah, arguing that the notice of appeal filed by Ikpeazu did not operate as an order for a stay of proceedings. 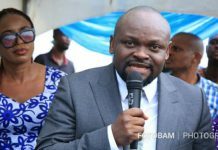 Ubani added, “Note also that the appeal of Dr. Okezie Ikpeazu before the Court of Appeal does not operate as a stay over the judgment of Justice Okon Abang. Ubani also faulted an order of an Abia State High Court, restraining the Chief Judge of the state from swearing in Ogah as the governor of the state. The lawyer said the Abia High Court, being of coordinate jurisdiction with the Federal High Court, lacked jurisdiction to make such an order, and as such, the restraining order, and as such, the restraining order against the Chief Judge of the state was invalid. He stated, “I understand that a High Court in Osisioma Ngwa, the area where the governor hails from, has issued an interim order, restraining the Chief Judge from swearing in Dr. Uche Ogah as the governor of the state. “The point must be made that this order cannot stand as it is invalid in law. “The order did not emanate from a higher court but from a court of coordinate jurisdiction and does not in any way vitiate or invalidate the earlier judgment of the Federal High Court in which the Chief Judge of Abia State was ordered to swear in Dr. Uche Samson Ogah. 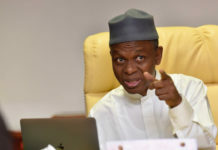 But a former National Secretary of the Labour Party, Dr. Kayode Ajulo, argued that the Supreme Court had the final say in governorship election petitions, saying it would be treasonable felony to swear in Ogah. He said, “The Supreme Court therefore has the final say in the evaluation of the two lower courts mentioned above. 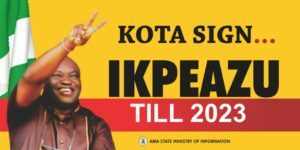 “As it is, Governor Ikpeazu, who is presently the occupier of the seat of Governor of Abia State by Section 143 (1) and (2) of the Electoral Act 2010 (as amended) has 21 days to file an appeal, and, within this period of 21 days, the occupant statutorily remains in office, notwithstanding the decision of the Election Petitions Tribunal or any court, including the Court of Appeal and also has a statutory period of 14 days from the day of the judgment of the Court of Appeal to file his appeal at the Supreme Court. “Any attempt to swear in Ogah, under any guise at this stage, is not only satanic, it is uncharitable and crystal clear and sheer violation of the Electoral Act. It should also be noted that such an attempt or contemplation is without precedent in our jurisdiction on election matter. Mike Ozekhome (SAN) and Sebastine Hon (SAN), however, described INEC’s decision as hasty and amounted to nullity since Ikpeazu had filed a motion for a stay of execution and a notice of appeal, challenging the Federal High Court’s judgment. Hon called on President Muhammadu Buhari and the acting Inspector-General of Police to intervene in the matter to avert constitutional crisis in the state. Next articleOPINION: IKPEAZU, OGAH, INEC and The Judiciary: The Way Forward By Ugochukwu Amaraizu.